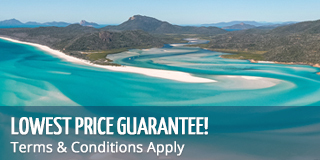 Have you been hunting for the best deals and the cheapest prices for a trip to The Whitsunday Islands? Stop what you're doing, it's all right here! Sailing Whitsundays are proud to offer the highest quality day tours at the best possible rates! These prices won't last long, act quickly to secure! Get the most out of your time in the Whitsundays on a premium day tour! Get the best of both worlds! See the Great Barrier Reef and Whitehaven Beach! Visit the amazing Great Barrier Reef on this all inclusive day trip to Bait Reef! Visit 2 different locations where you can snorkel or scuba dive! See all the sights with a day tour that packs three days packed into one! Make a splash and snorkel among the colourful reefs! Choose from two tours for the best experience! See it all! Visit Hill Inlet, Whitehaven Beach and the Great Barrier Reef in two amazing days! Only have one day? Hop on board one of the world's fastest sailing catamarans, Camira! *Conditions apply to the Backpacker price - ask us for more details! Multi award winning Ocean Rafting invites you to enjoy the best of the Whitsunday Islands and Great Barrier Reef in one day! Cruise on a rafting boat around the Whitsunday Islands at top speeds! Combine rafting tour with scenic flight to see the reef in a whole new way! Combine Whitsunday Bullet and Reefworld for the ultimate package! Pirate fun sailing the Whitsunday Islands and exploring the underwater world! Embrace the feeling of wanderlust and embark on the journey of a lifetime!